Everyday we all routinely do things unconsciously. Whether it’s the way we get ready for work or what we do when get to work, we have a routine. It may be the route we take to work. Developing a routine can be great thing and I strongly encourage establishing a pattern that will help with productivity. However, do you know if any of your routine behaviors are harmful to your life? These harmful routine behaviors are also called bad habits. Bad habits hinder progress and productivity. Anything hindering us from moving forward must be killed. First, you just need to figure out if you are unproductive because of a bad habit. You can decide this by looking at what daily, weekly, monthly, or annual goals you may not be accomplishing. Once you specifically can find an aspect of your life in which you aren’t moving forward, then you will need to find out what the bad habit is and how it is affecting your life. 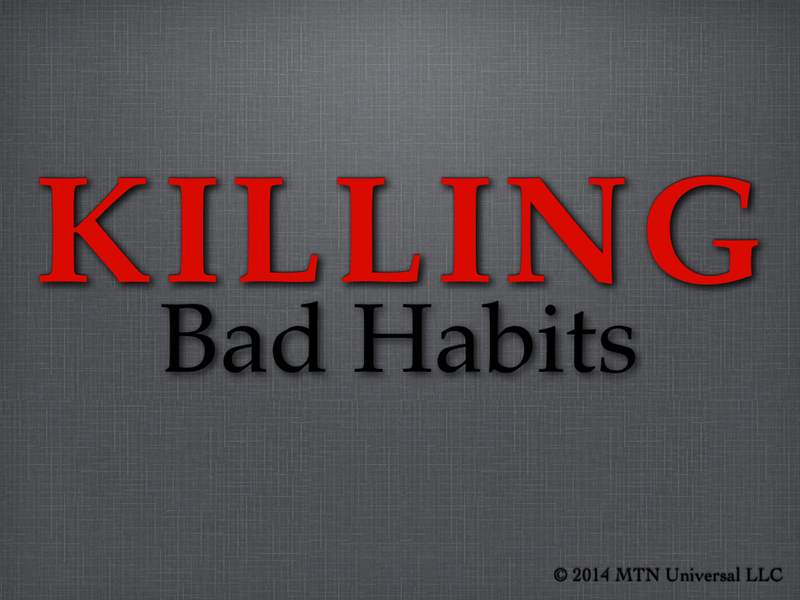 Discovering the bad habit is the first step to killing any bad habit. It may be a challenge to find the bad habit because if it is truly a habit that means you have been practicing this behavior for a while. Long enough that it probably has become an unconscious action in which you believe is helpful, but really isn’t working for your life. It may be negative talk or a negative action being performed on a consistent basis. If you figure out the problem, then you must stop practicing the bad habit. The way you stop the bad habit is by replacing the bad habit with a better habit. Don’t replace it with another bad habit. Make sure the habit is better by determining if it will help you with productivity of your life’s goals. For example, if the problem is you consistently tearing down you loved ones with poor choice of words. You must find a way to build your loved ones up by using loving words. If you are consistently being unproductive at work because you are taking too long of a lunch break with friends. It may mean taking a shorter lunch with your friends or avoiding lunch with friends, so you can get back to work on time. Instead of having lunch, you may need to have breakfast or dinner with your friends. These are just a few examples.